The latest Quinnipiac University Poll finds that the majority of Americans, Republican voters, swing-voters, American men, as well as both college-educated whites and non-college educated whites agree that there is a “security crisis” at the southern border. In total, 54 percent of Americans agree with President Trump’s assertion that the country’s porous southern border has created a “crisis” of skyrocketing illegal immigration and deadly drug trafficking. About 86 percent of Republican voters agree, as well. 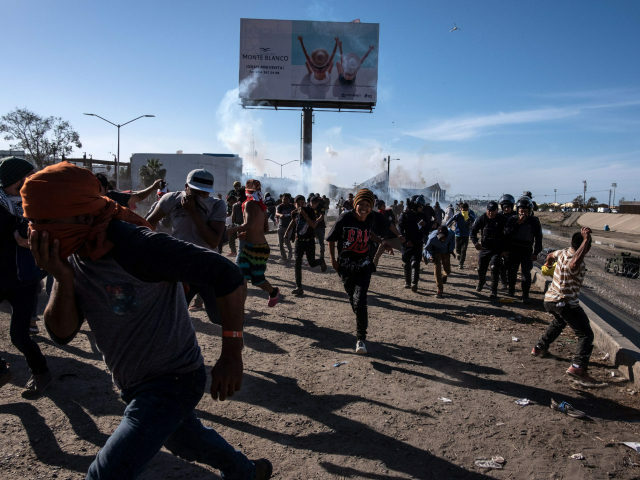 Swing-voters by a majority of 54 percent say there is a crisis at the southern border, while 58 percent of American men and 50 percent of American women say the same. Roughly 51 percent of college-educated whites say there is a crisis at the border and 64 percent of non-college educated whites agree. The poll is a blow to the establishment media’s narrative that illegal immigration and drug trafficking are not out of control at the southern border, though federal data does not support these claims. In her response address to Trump’s Oval Office address on immigration, Rep. Nancy Pelosi (D-CA) claimed the president was “manufacturing a crisis” at the southern border. Angel Mom Mary Ann Mendoza — whose 32-year-old son, Arizona officer Brandon Mendoza was killed by an illegal alien — blasted Pelosi and the media narrative in an exclusive interview with Breitbart News. Border-crossings in November 2018 — the last month where data is available — hit close to 52,000, marking the highest level of illegal immigration in the month of November since 2006. Projections indicate that illegal immigration for next year will reach 600,000 border crossings, the highest level of illegal immigration in more than a decade. Meanwhile, drug overdoses in 2017 killed an unprecedented 72,287 U.S. residents, nearly three times the number of individuals killed by global terrorism. Nearly 50,000 of those deadly overdoses were caused by either heroin or fentanyl.